I see a lot of questions that include such phrases as "... how much does it cost... " and "... I can't afford... " and "... how much should I spend... " and so on. 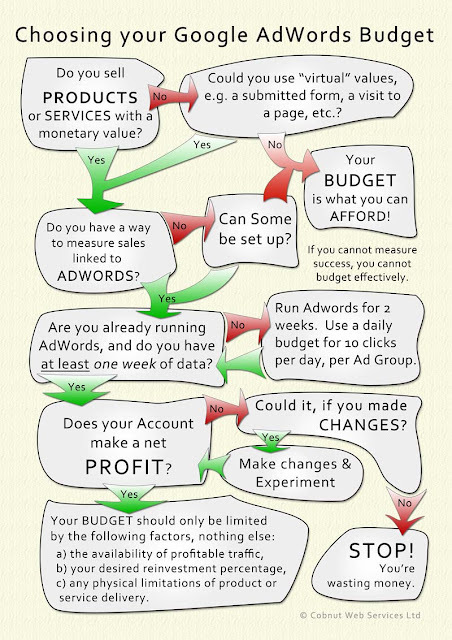 Budgeting for AdWords is a pretty common topic but most questions hover around the idea that advertising is a cost, a capital outlay that is a drain on income or cashflow. Although it will probably be necessary to have an initial budget that can be used as a loss-leader, ongoing advertising costs should be examined simply in terms of their return to the business. I've tried to summarise this in the following diagram. 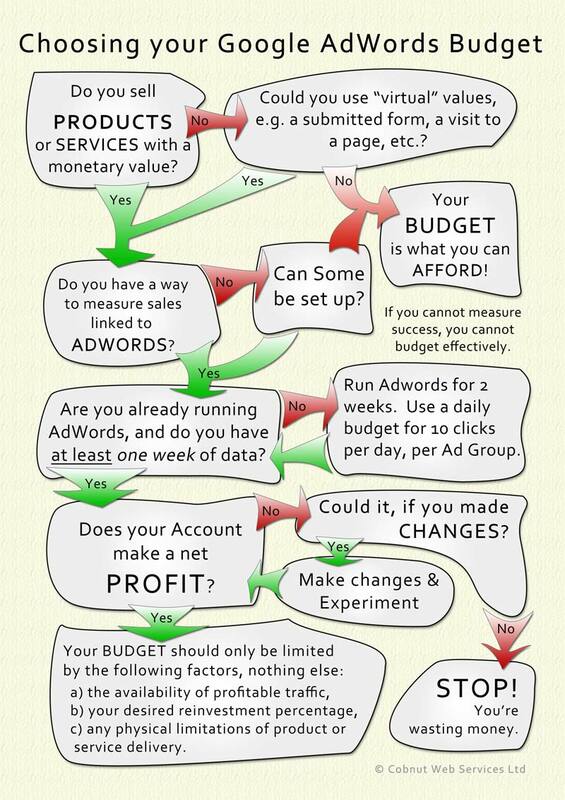 Simply put, if you understand the value of your advertising, your budget should be controlled primarily by that value. If you don't and cannot, your budget should only be what you can afford but you should always aim to measure your return on investment as this is the only true way to gauge advertising success.